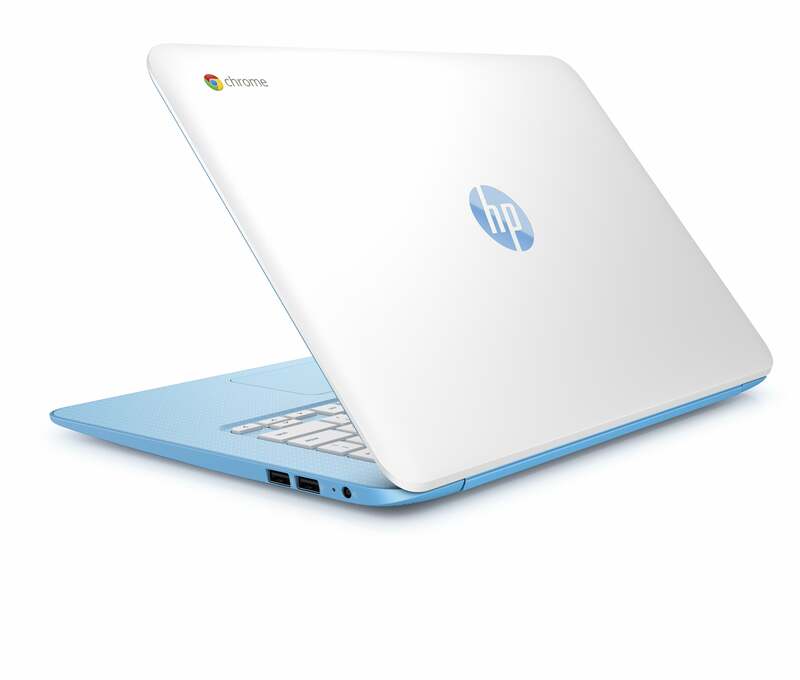 It’s getting towards the end of the year, and that means it’s time for Hewlett-Packard’s Chromebook 14 refresh. The 2015 release isn’t as exciting as the $440 touchscreen model that appeared last December, but these are still some nice, well-priced laptops nonetheless. In fact, this year’s Chromebook 14 models drop $50 off the price tag, down to a starting price of $250 compared to 2014’s starting price of $300. HP’s new Chromebooks dump the 2014 model’s Tegra K1 processor for Intel’s 2.16Ghz dual-core Celeron N2840. The rest of the specs remain relatively unchanged from last year. You get a 14-inch 1366-by-768 IPS display, 2GB RAM, 16GB of onboard storage, a microSD slot, one USB 3.0 port, two USB 2.0 ports, an HDMI connection, and a headphone jack. Battery life promises remain the same as last year, at 9.25 hours. The new Chromebook 14 line tones down the accent color spectrum to just a silver and light blue model—last year, HP offered four different colors and the year before that, three. And for those who need a little more resolution in their lives, HP will also roll out a “full HD” 1080p version of the Chromebook 14 starting at $280. Beyond hardware, HP’s Chromebook packs Google’s usual offer of 100GB free Drive storage for two years. The package also comes with 12 free Gogo in-air Internet passes for U.S. domestic flights, three free Google Play movie rentals, and 90 days free of Google Play music. The new Chromebooks are slated to hit store shelves on Sunday, November 8. The story behind the story: New consumer Chromebooks are always nice, but HP is likely far more interested in the education and small to medium business market, where Google-flavored notebooks have a small, but solid foothold. 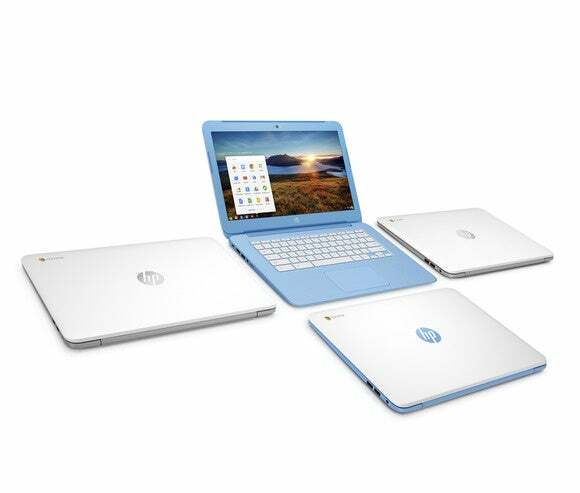 To that end HP also introduced the Chromebook 14 G4 as a sole Silver model with enhanced VPN support, Citrix Receiver 1.8 for Chrome, and 16GB more onboard storage for a total of 32GB. The G4 is expected to be available to institutional buyers in October before the consumer version rolls out next month.